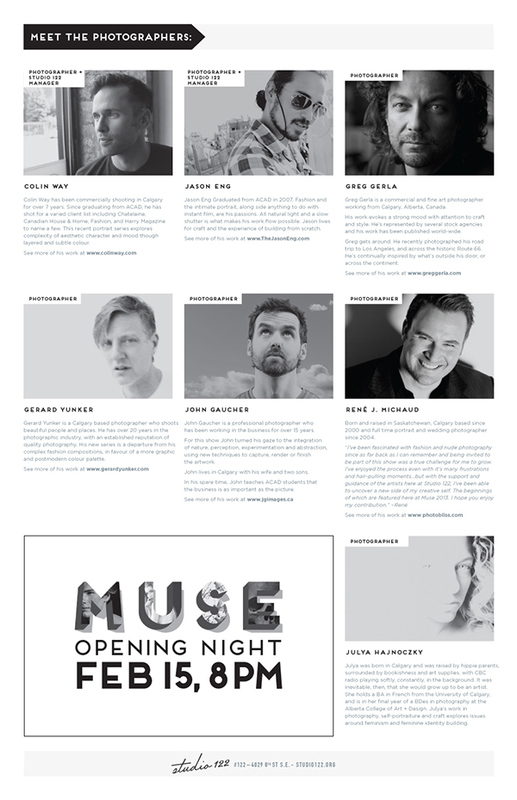 Since 2009, Studio 122 has hosted a studio collaborative of select photographers to showcase their work with an underlying theme. 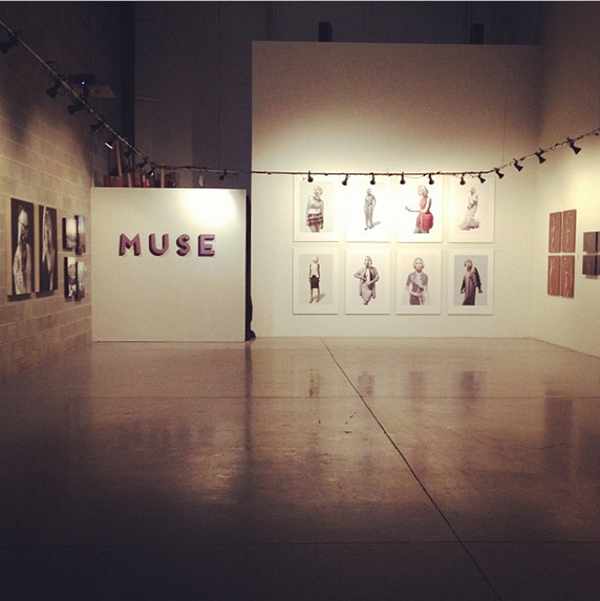 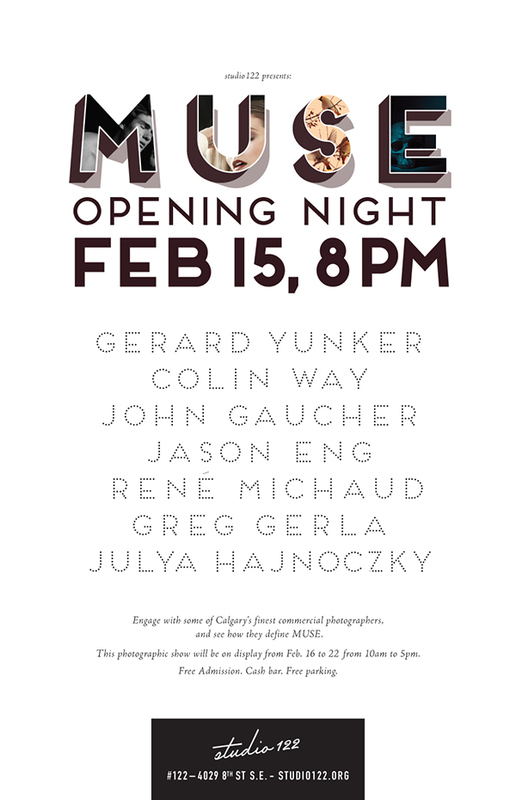 The interpretation of MUSE was this year's theme and concentration for the commercial photographers. 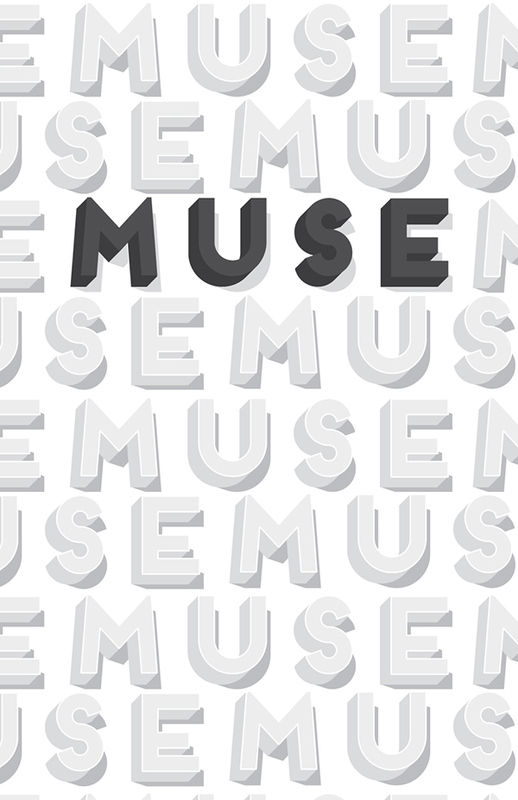 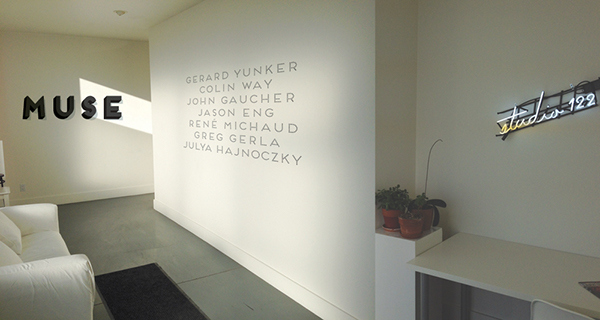 The space required some front entrance decals, 2013 MUSE branding and advertising.